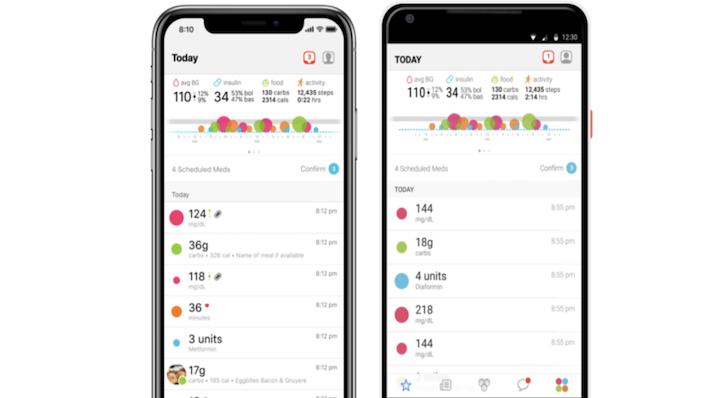 This morning diabetes self-management company One Drop announced its platform’s integration with Apple’s Health Records. As part of the integration patients who use the One Drop | Experts are able to share their EHRs with their personal diabetes coach. This gives patients the ability to share their vitals, lab results and medication history with One Drop coaches. This news coincides with the launch of One Drop’s new Personal Diabetes Assistant. With this new system, users will be able to enter their recurring diabetes health management tasks into the platform. Then the system will automate a personalized daily schedule based on the user’s needs. Both of today’s announcements are centered around relieving the burden of diabetes management. Diabetes is a common condition in the United State impacting 30.3 million people, or 9.4 percent of the US population, according to the CDC. The integration with Health Records could make it easier for people to share their data with their health coach and remove interoperability barriers. "Healthcare should never be delivered in silos, and the more information healthcare providers have about their patients, the better," Dr. Mark Heyman, VP of clinical innovation at One Drop, said in a statement. "Integration with Health Records on iPhone is a game changer for One Drop's digital therapeutics platform. Access to the information available in Health Records on iPhone takes digital healthcare out of its silo and allows One Drop coaches to give users the most personalized coaching experience possible." This isn’t One Drop’s first dealing with Apple. Along with its claims of being among the first diabetes platforms to integrate with Health Records, it says it was the first glucose meter to send data directly to the Apple Watch and the first diabetes app to integrate with CareKit. The diabetes management space is well populated and other platforms are also integrating with Apple. In fact, users of Ascensia's Diabetes Care Contour Diabetes app — a mobile tool to monitor trends in blood glucose levels that connects to the Contour Next One glucometer — can transfer blood glucose and carbohydrate data from their app to records kept within the Apple Health platform. "We are giving information that used to sit solely inside big health institutions back to the people where it can be most relevant," Jeff Dachis, CEO and founder of One Drop, said in a statement. "Empowering people to engage in their own self-care by providing on-demand access to their health information and the ability to share as they please is a big step toward lowering costs and democratizing healthcare."